Aniworld is a creation of Aniworld Limited, a company that delights in creating new and innovative products for kids. We’re a team that is passionate about quality design, bringing new colour to life with our fresh ideas. We’re proud of every product we make; each one reflects our creativity and hard work. Aniworld is the name for the world of animals we’ve created. 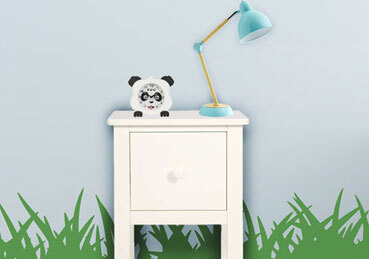 Here you’ll find all kinds of children’s products that our fantastic design team just love to keep coming up with. We also really value children’s education so Aniworld is the place to find even more of the best games and activities, all fun filled ways of learning. We can’t help but keep making new things so make sure you keep up to date with all of our fabulous creations! Leave your email to join our monthly Newsletter. We value our customers and to ensure that our communication is not hindered and you are kept up todate we will be giving away a candle every month who have left us their email address. To be eligible please leave us your email address. Leave your email address to receive 20% off all new products. Whenever we launch a new product, no matter what it is, we will give 20% discount to all email addresses we have in our database prior to the launch. Spend over £200 and receive free delivery. It said that Every little helps, at Aniworld we believe this, so if you now spend over £200 this will include free delivery for UK postcodes only. We believe the service you provide, reflects on the companies value and morals. Customer satisfaction means a lot to us, so the Aniworld team are always hard at work to ensure that you will not be disappointed with both our products and the great customer service we provide. We value all our customers. Our aim is to deliver the highest quality product. We believe in customer satisfaction. If for any reason, you are unhappy with your purchase please feel free to return it and we will issue you with a full refund.